What do reviews, rating and long queues outside restaurants have in common? 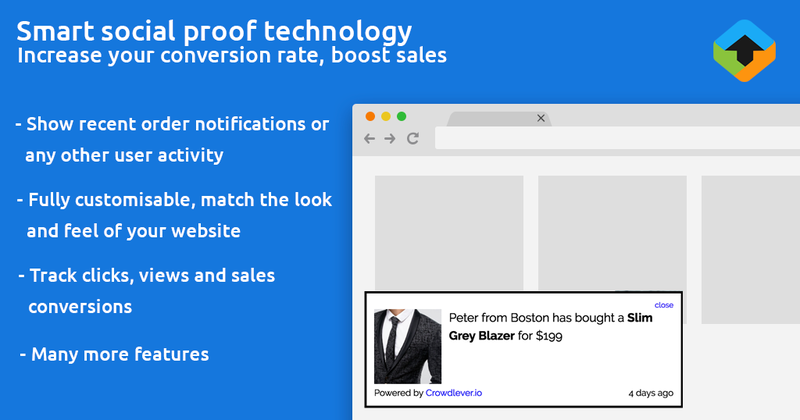 They all use the clever principle of social proof to boost sales. Social proof is the idea that you are more likely to make a purchase if you see someone else is doing the same. 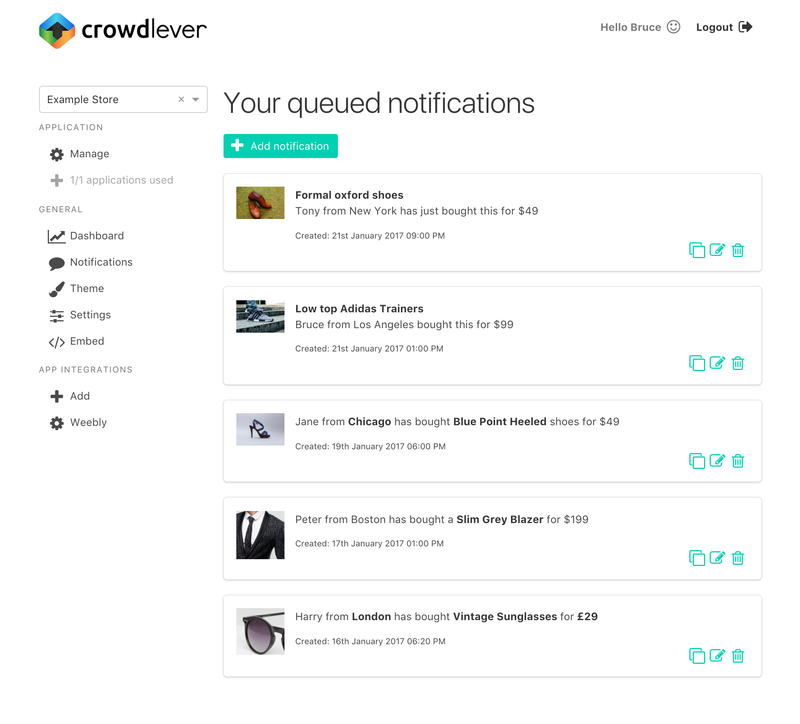 Crowdlever allows you to leverage this idea by showing recent order notifications on your site. 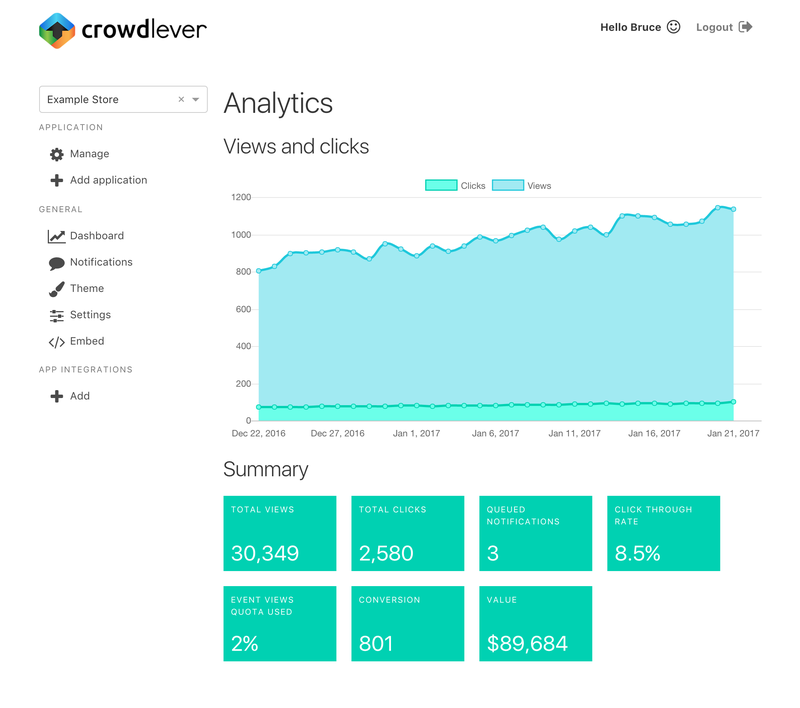 Your website suddenly becomes alive, more trusted and busy like a store in the real world. What to show more than just recent orders? 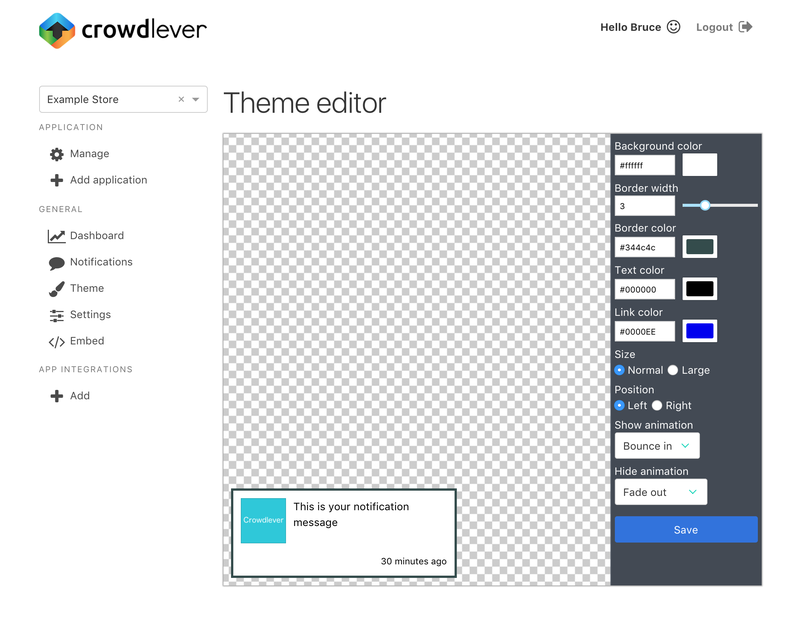 No problem, you can add custom notifications to show new products, newsletter subscriptions, new deals, new users… Use our rich text editor to fully customise your message. 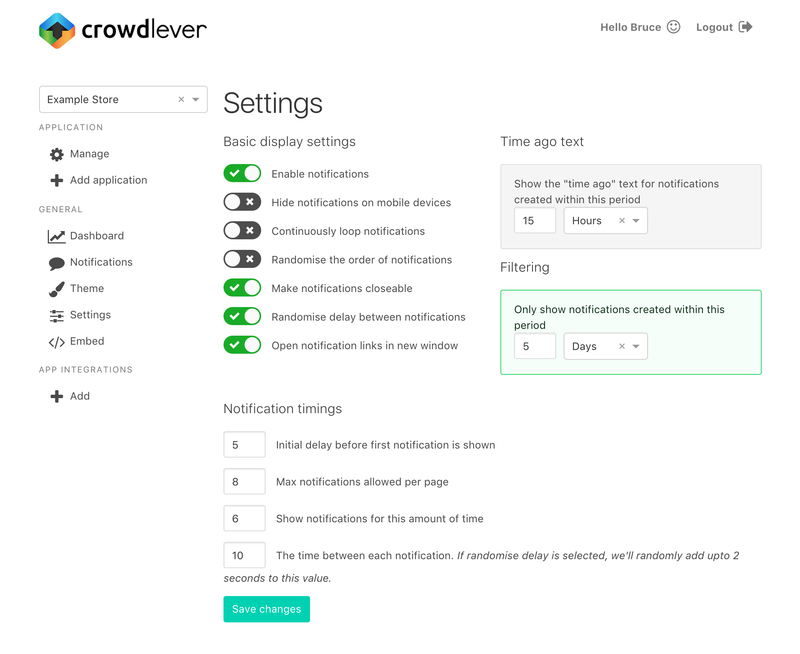 Your notifications are fully customisable including: display timings, positioning, colors and the message text.